I love PointBreaks nights. 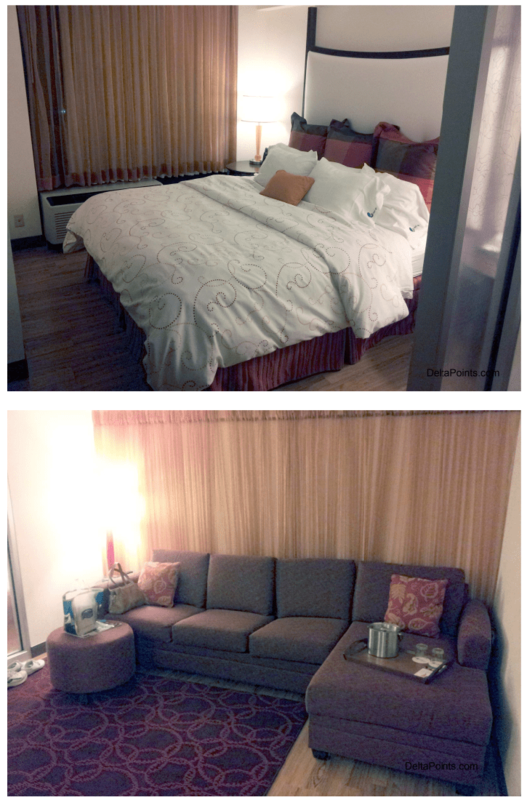 To be able to rent a room at a nice place for just a few points is grand! This trip I did something I have wanted to do all my life. 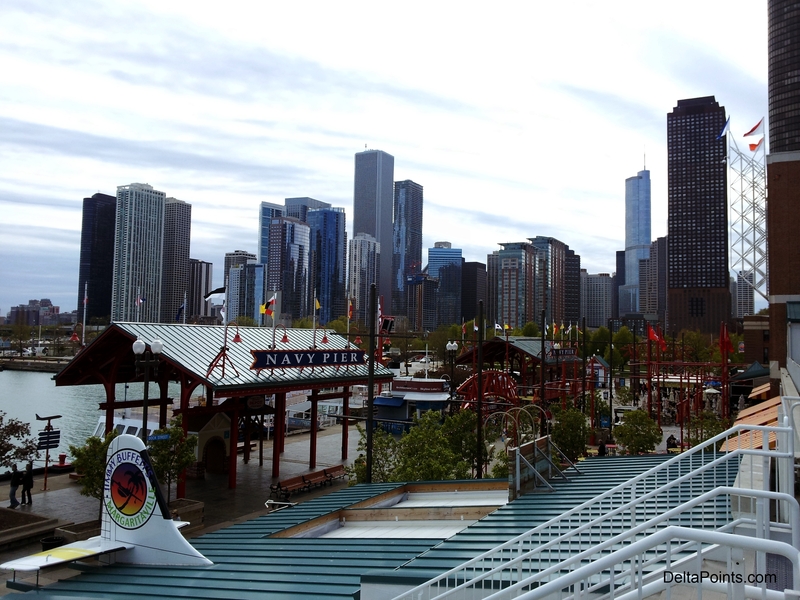 My friends and I took a lakefront tour on Segways. If you have never tried one of these, I can tell you, yes, they are as kool as they look and as kool as you think they are. There is almost no learning curve to ride them as they are very intuitive and after just a little practice you just think what you want and the Segway goes there. The tour operator was located just across from Navy pier and we had some time to kill so we got some Garretts popcorn (the best in the world) and since it was FREEZING and we did not plan for it to be that cold, got some clearance Navy Pier sweatshirts to ward off the cold before our tour. 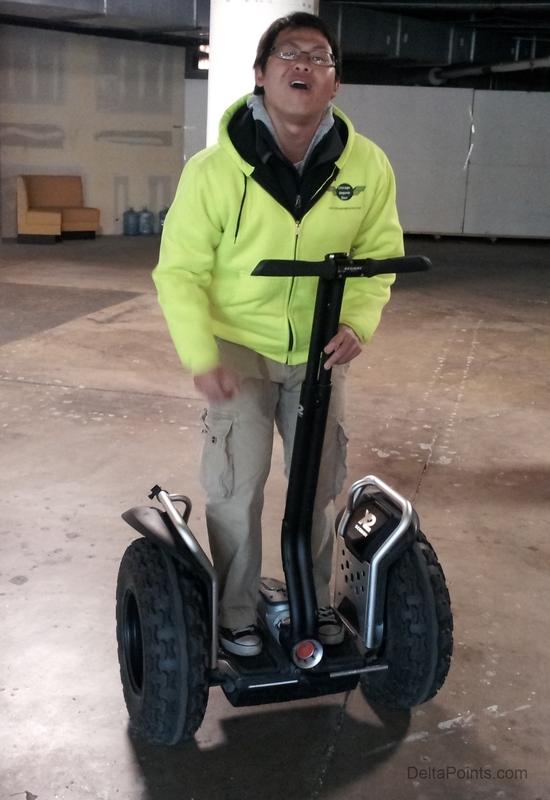 We had a fun instructor, Alex, who is a skier originally from Denver but is now a performer at Second City Chicago and part timer on the Segway tour. Our instruction was inside and then, as you can see, we bundled up for the tour. We lined up like little school kids and followed along the lake shore stopping here and there for photos and information about the city. 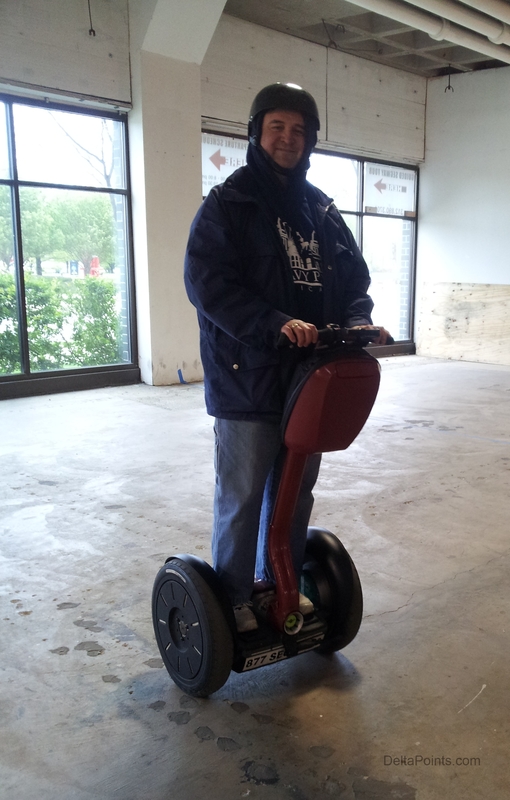 If you ever have a chance to try a Segway tour please try it but maybe on a warm day would be a better choice. 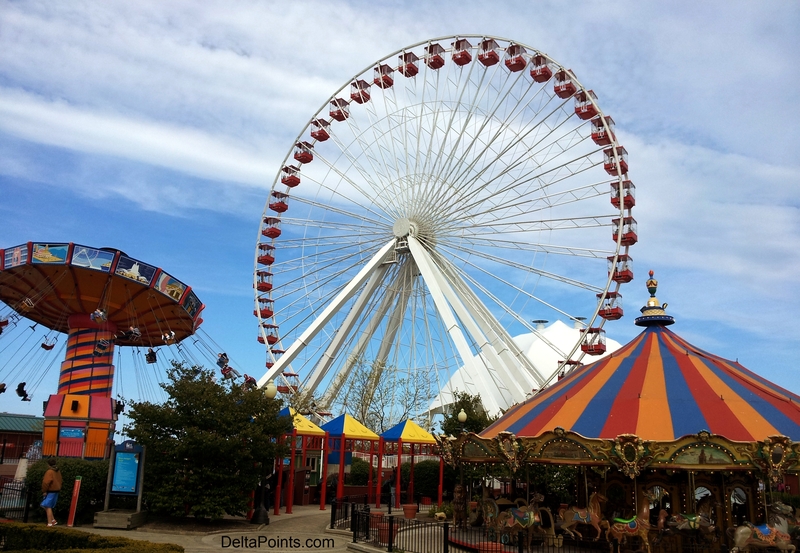 I also put up a poll at the top right of the blog and would love to know if you have ever been on a Segaway. Now we again enjoyed the huge bounty from this past December’s 90% off deal from Restaurant.com and got $50 off dinner at a small but very nice place called “Pavilion“. The Food was very good and I would go back if in the area but would not drive out of the way like the Italian place I found on my last Chicago trip that I would drive out of the way to go to again. After dinner it was off to the Hotel Indigo. 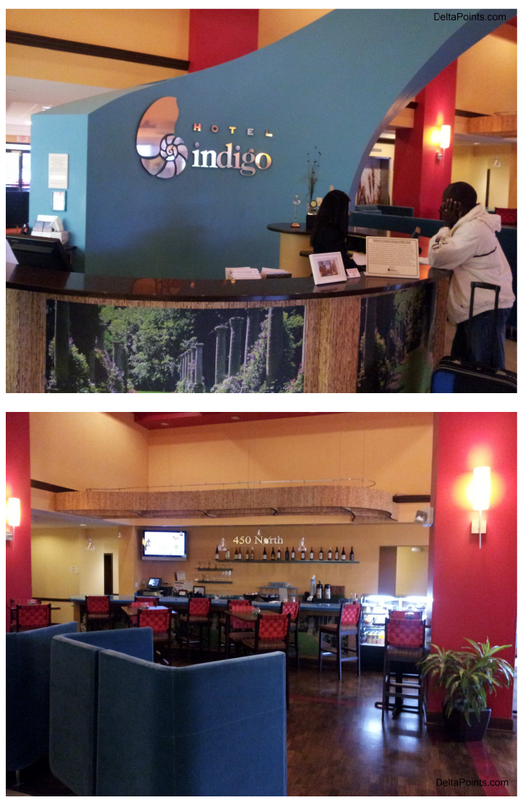 It was my first ever stay at an Indigo. There is only so much you can do to a mid-level hotel to make it different than any other one. Indigo does this attempt with some funky kool colors and styles. One of the BEST things was as a Platinum I got to choose a gift for each room. One of the choices was 1000 PC points. OK. So I spent 10,000. Will get 1000 back from my PC Visa. Now 2000 back from the hotel. So the stay cost me just 7,000 PC points for TWO rooms! How sweet can this get? Overall it is a nice hotel. Our room was nice and I like the large family room couch area to enjoy relaxing and to have friends over for a glass of wine. 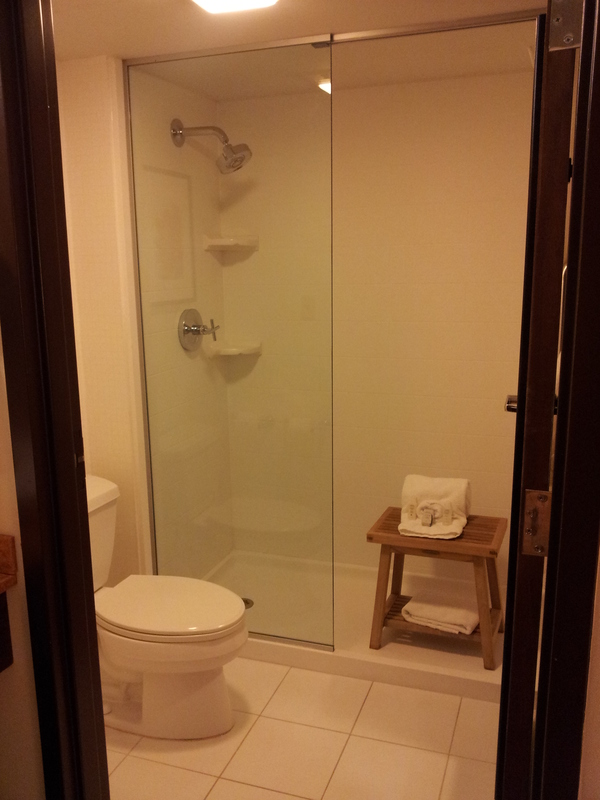 The bathroom and bath area was very small and the shower felt cramped and had some previous guest hairs stuck here and there and showed some water damage around the ceilings. Before our trip home we popped into a few favorite stores like Caputo’s Italian grocery store to stock up on specialties we can not get at home. 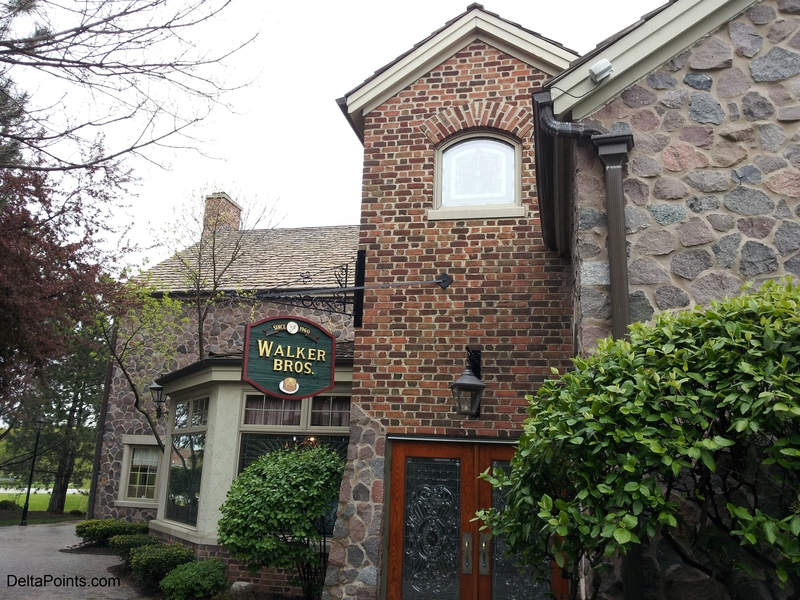 Also we had breakfast at another one of the Walker brothers spots and it was just nummy! We’re doing the same thing in a few weeks to Hampton, VA. LOVE the PointsBreaks! 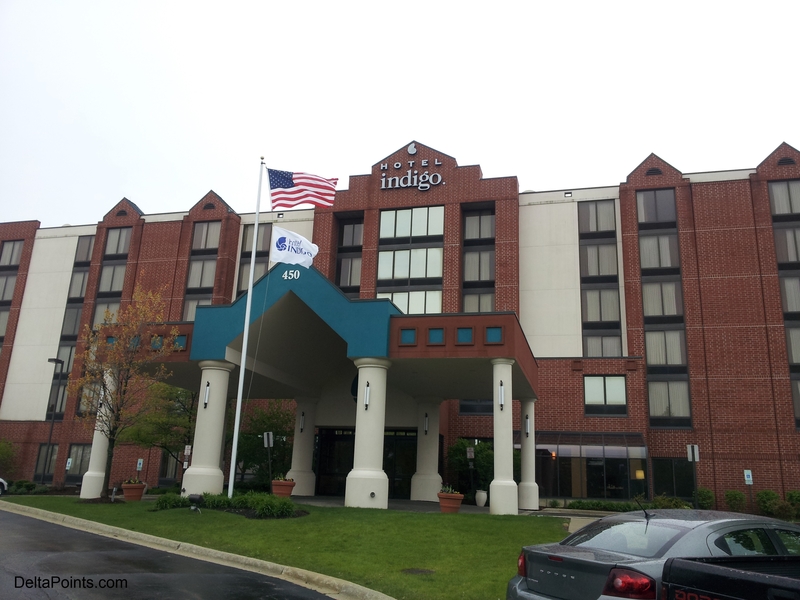 That Hotel Indigo must be a former Amerisuites (which was mostly converted to Hyatt Place). @Jon – could be. It was nice. I would stay again if in the area. Did you book two rooms using points from one account? Could you please describe how to do this? Thanks! Thanks Rene! Do you enter the name of the guest in the other room or do you also book the second room under your name? What a blast! I also did one in Budapest prior to the Chicago tour. BTW- I have to agree, Garrett’s is amazing. Thanks for the shout out! 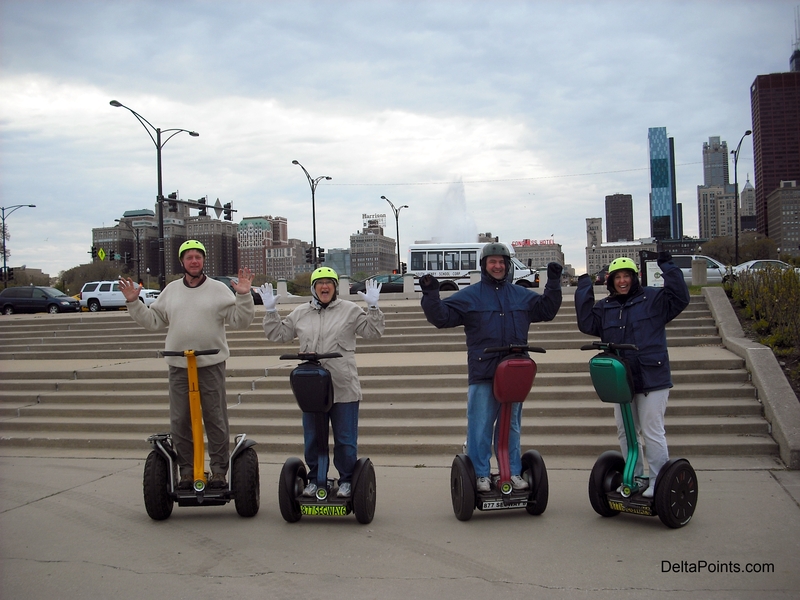 Chicago Segway tours certainly appreciates it!! P.s. think you could have chosen a more flattering picture of me?! ?